The solutions provide service-driven event and performance management of business critical systems, applications and services. Operations Management Connector is a notification tool that compliments such management through integration with HP Network Node Manager NNM and HP Operations Manager. It allows authorized clients to configure flexible and accurate alert notification based upon numerous attributes within a typical event. 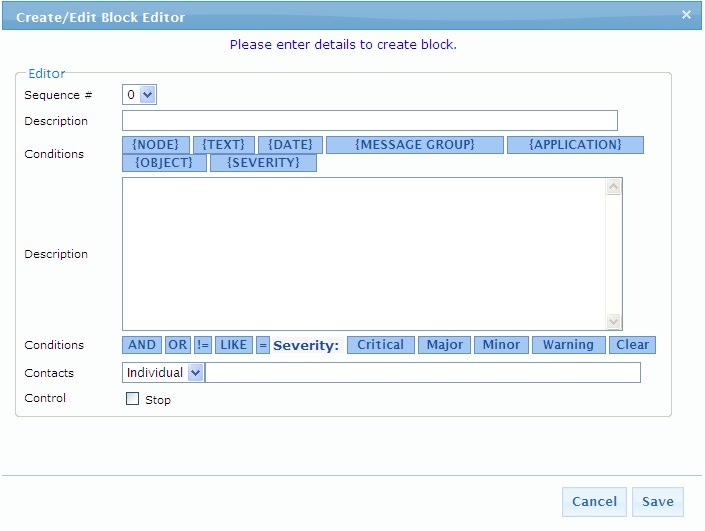 It also contains a built-in syntax checker that enables a user to write and test notification rules easily. Lastly, the integrated implementation creates a "lights-out" environment because rules can be configured within Operations Management Connector to even "monitor the monitoring system." The product supports multiple operating system platforms, protocols and communication vehicles. Installation is straightforward. It is highly economical and effective for enterprise use or within isolated environments, such as manufacturing network architectures, to reliably route alert notifications. Created by the Dynamic Consulting Group and released in July 2005, the Operations Management Connector installation, configuration and graphical user-interface are simple and intuitive, ensuring a short learning curve for users and rapid integration with your HP Operations Manager environment. ACCESS, AUTHORIZATION AND USER MANAGEMENT. Operations Management Connector provides full control over access and authorization through the granting of rights to users who have access to configure alert notification. The HP Operations Manager administrators can maintain specific user rights to configure notification and view corresponding history logs.